Arvon Drain Clearing offers a reactive and preventative maintenance service. We can tailor maintenance packages in compliance with your company’s requirements to ensure your drainage system is always working flawlessly. 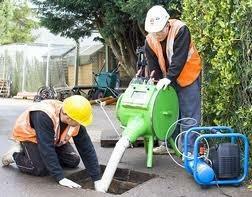 We can perform a range of services that are proven to be effective in ensuring your drains are operating properly. We understand the inconvenience of a faulty drainage system can have on your business. For this reason, our focused and specialist approach guarantees that problems are quickly identified and then resolved. For any questions or enquiries regarding our commercial drainage service, feel free to get in contact with us.